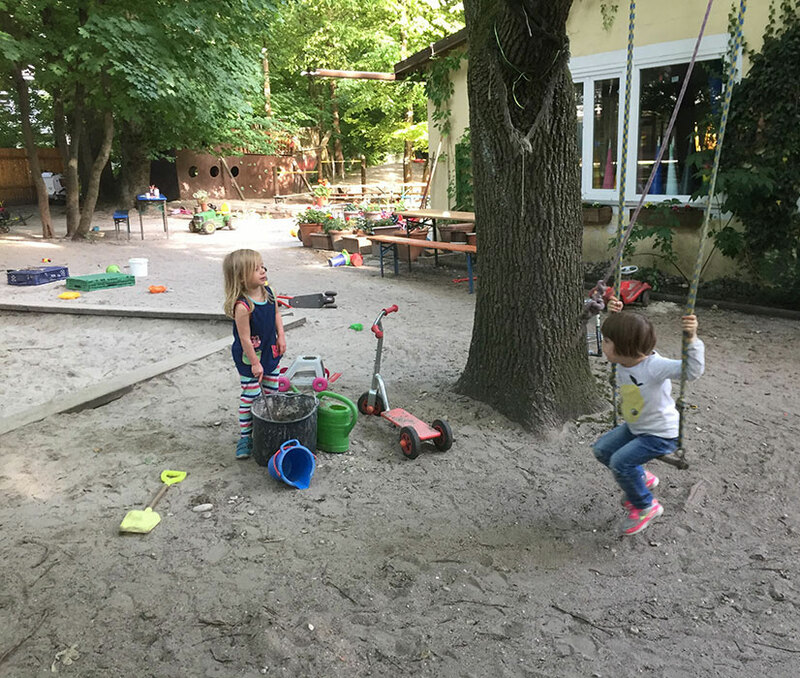 Uni-Kindergarten is one of the oldest and largest parent-led-initiative kindergartens in Munich. It is located in the Leopoldpark, a park in the heart of Schwabing, close to Giselastraße underground station. The building is surrounded by a large, beautiful and overgrown garden. We have five small groups of 14 children each, each group being led by two teachers. The groups are composed of children of a similar age, staying together from when they start kindergarten at the age of three until they leave to start school at the age of six. Thanks to the loving and respectful manner in which the teachers care for the children, they build a very close and trusting relationship with the children of their groups, who in turn tend to make very close friends within their groups. The demands our staff have to meet are high: We expect expertise, the ability to reflect, strong commitment as well as the willingness and continuous effort to accept each child as they are.